We look back at 2018 year end S&P 500 targets as 2018 draws to a close. The S&P 500 is currently down about 3% year to date and unless something drastic happens almost every major Wall Street strategist will be way off with their target for the S&P 500 for 2018. We also look at 2019 targets which are all bullish again. Will the predictions for 2019 be any better on target than they were for 2018? The S & P 500 has had a stellar run of nine and a half years of gains closing at a new high in the week gone by. It is up 300% since the 9th of March 2009 when it hit a multi-year low in the aftermath of the financial crisis. 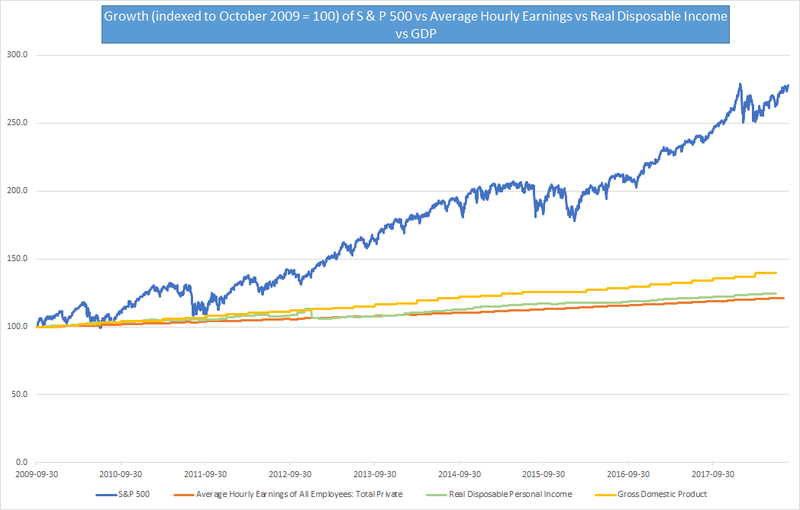 Even considering the time post the end of the last U.S. recession, the S & P 500 has outperformed every major financial metric by a big margin.